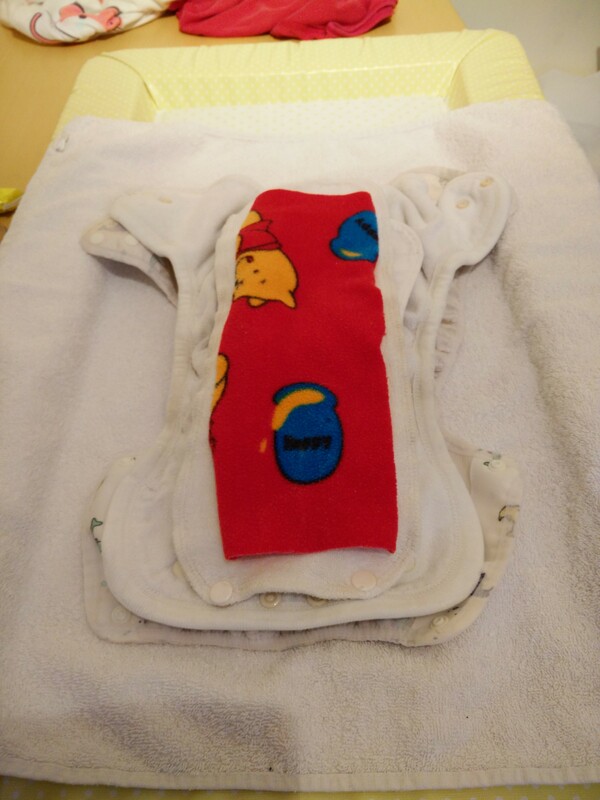 A colleague is thinking about putting his daughter in cloth nappies at night. 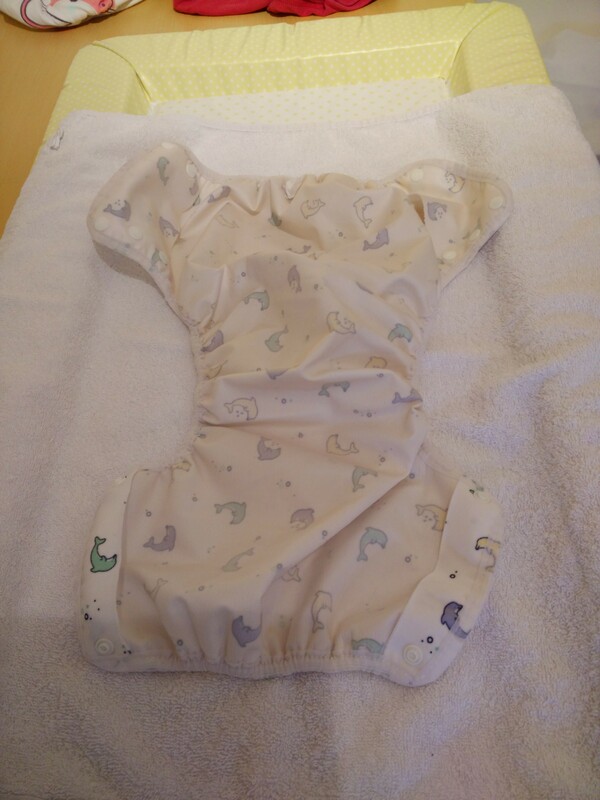 This post is for him and anyone else who wants to use a cloth nappy at night. 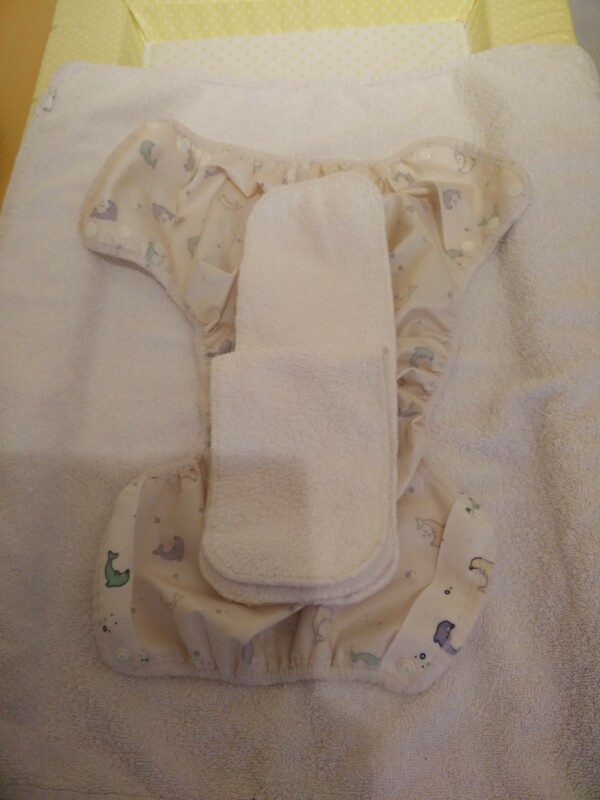 The nappy preparation works for our daughter but as all children are different you may have to modify it for your child. Start with a Motherease Air Flow or PoPoLiNi Vento wrap (or similar). 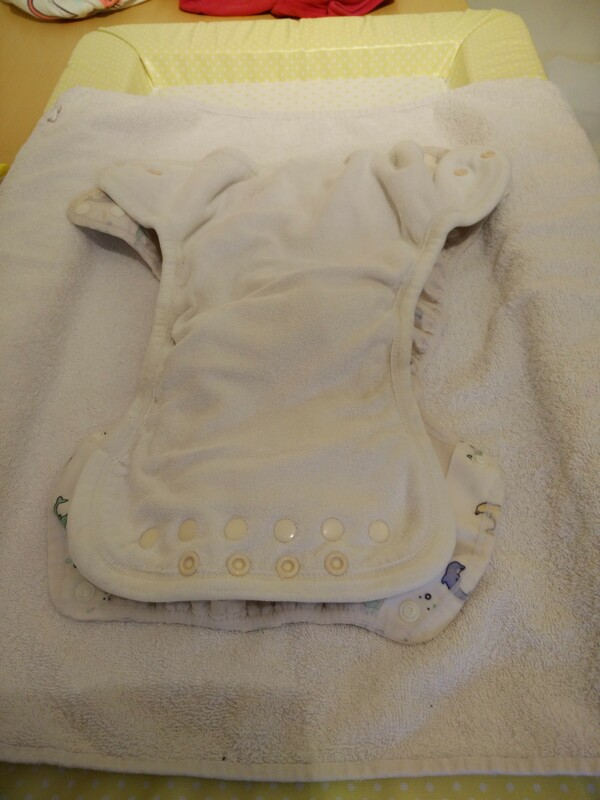 Place a size 2 Little Lamb double thickness bamboo booster in the wrap. Place a second booster on top of the first. 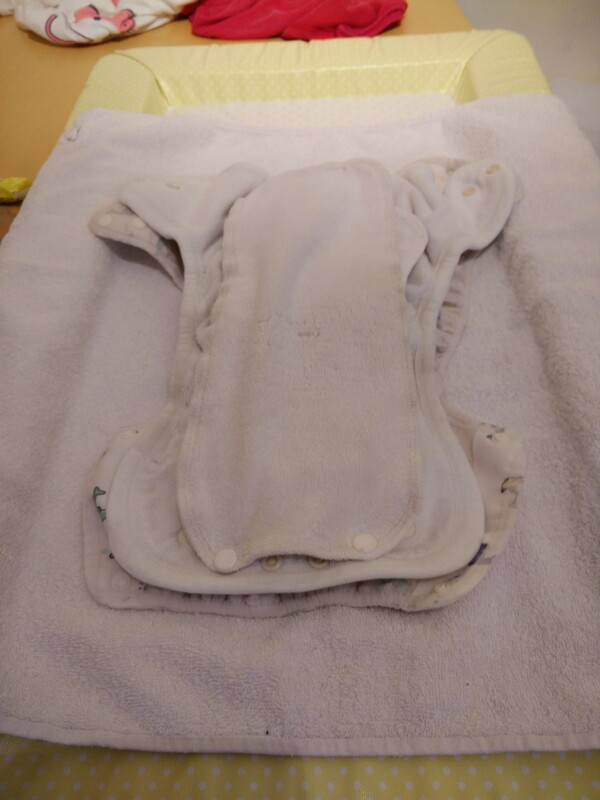 We fold this booster in two and place at the front as our daughter seems to wet the nappy more at the front. This is probably useful for boys too. Add a Motherease one size nappy. Add a size one Little Lamb bamboo booster. Add two cotton boosters. 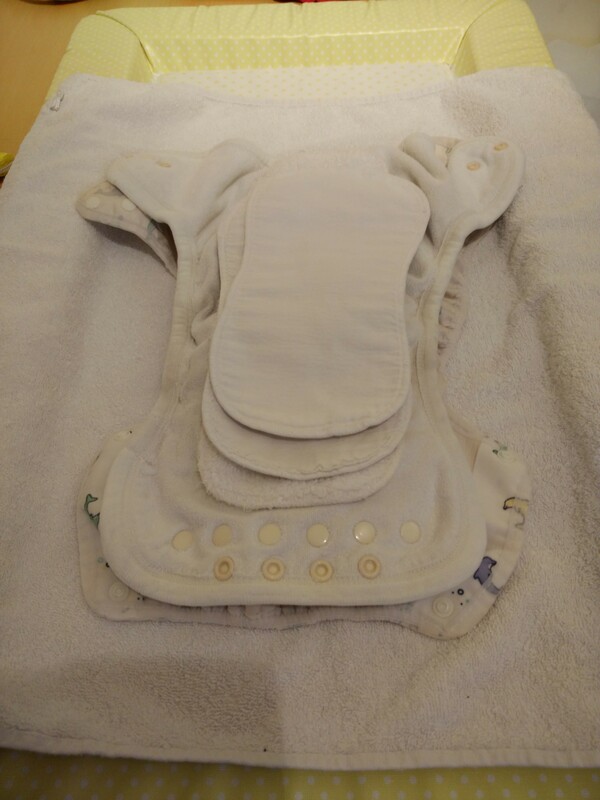 This helps fast flow from away from the skin to the absorbent bamboo. 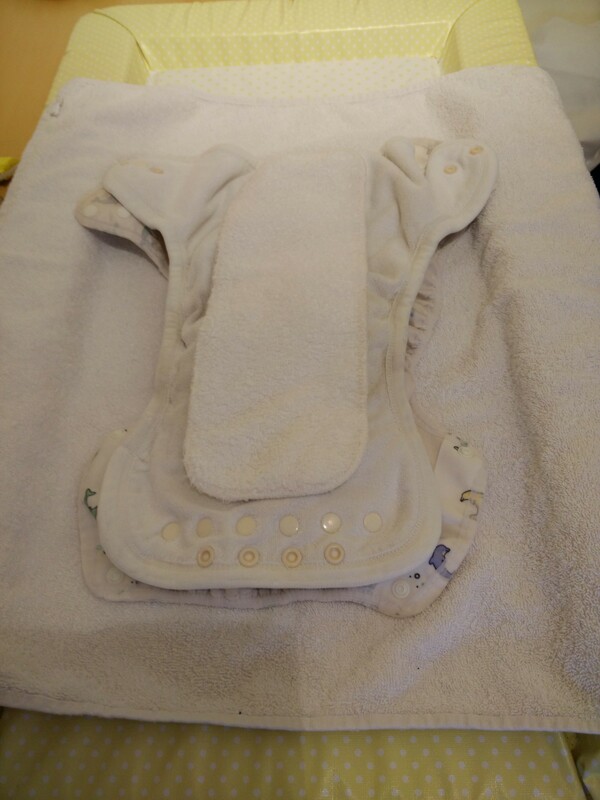 Sometimes, we use one size one Little Lamb bamboo booster here. Add the Motherease nappy’s booster with the poppers. Finally, add a piece of fleece to sit next to the skin to keep the skin dry. 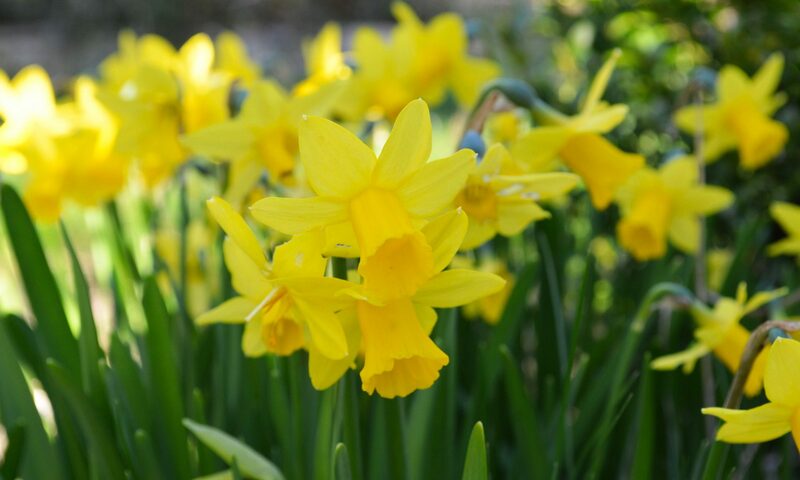 Once fitted to the child, it is usual for there to be a gap between the wrap and the thighs of several millimetres. The wrap should be pulled down the thighs as far as possible.